"Dr. Devanny is very personable and professional." "Highly recommend. Did surgery on my broken wrist. Professional, compassionate, kind." "I have had 2 surgeries done by Dr. Devanny, very pleased with both results." "I would recommend Dr. Devanny to anyone with an upper extremities injury." "Dr. Devanny is very professional. and answers all your questions." Patrick D. Devanny, MD is an orthopaedic surgeon whose resolute determination drives him to help patients keep as much mobility as possible, especially in the hands and upper extremities. Sudden illness or injury can leave you struggling with everyday tasks, or suffering with a limited range of motion or instability. At Incline Orthopaedics in Colorado Springs, Colorado, Dr. Devanny works with you to find the cause of your musculoskeletal system’s problems so he can give you the most effective treatment. Dr. Devanny’s medical career began with his studies at the University of Rochester School of Medicine and Dentistry in Rochester, New York, where he graduated in 1997. In 1998 he completed an internship at the University of Vermont in Burlington, as well as a residency in 2002. A year later, he completed his fellowship at Allegheny General Hospital in Pittsburgh, Pennsylvania. He has been practicing medicine for over 20 years, and has found his calling in orthopaedics. Dr. Devanny is certified with the American Board of Orthopaedic Surgery, and specializes in treating hands as well as other upper extremities. Dr. Devanny provides a wide range of services for patients, including treatment for skier’s thumb, bicep tears, osteoarthritis, and more.His practice also offers several convenient, on-site services such as outpatient surgery, physical therapy, MRI, and X-ray. The healthcare staff at Incline Orthopaedics are experts in taking care of you with the utmost care and respect. 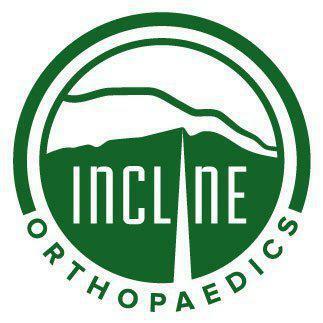 If you need specialized and comprehensive care, contact Dr. Devanny at Incline Orthopaedics. Call or schedule your appointment online today. Dr. Devanny Specializes in Hand and Upper Extremity Orthopaedic Surgery. Please don't hesitate to ask Dr. Devanny for other specialized doctor recommendations as well.